Recovery mode on the Samsung Galaxy J smartphone refers to a separate bootable partition which we can boot into and recover our devices. We can usually take a factory reset from the operating system without accessing recovery mode. While that’s great most of the time, it doesn’t help if your device is unresponsive and the software doesn’t allow for you to navigate to the area where you would need to enter to take that factory reset. For all of those times there is the separate bootable partition called recovery mode which you can enter. No matter how badly damaged your OS appears, you should have no worries accessing this recovery mode. While it’s true a stock recovery mode is fairly limited with what we can achieve from the partition, it does do more than just give us the factory reset option. Inside the recovery mode we can wipe the cache partition, apply updates and wipe all data. What we cannot do is install zip files which is what you need when installing a custom ROM. That’s one of the main reasons third-party developers create custom recoveries for our devices: so we can flash these new ROM via zip files. Long-press the Power key on your Samsung Galaxy J so it is completely off. Reboot by holding down the Home + Volume Up + Power keys and keep holding them in until you see the recovery mode on the devices display. Use either the Volume Up or Volume Down keys to scroll through the list of options present in the recovery mode. Confirm the option you want to take by using the Power key. Once done, stay at the main recovery menu and choose to reboot the system. Now whatever options you took from the recovery mode will be completed and your device will reboot to the normal mode you can use again. While that was the most common way to enter recovery mode on Samsung Galaxy J smartphones, it’s not the only way. You can also enter recovery mode by using the command prompt in Windows. To do that you must first learn how to install Android SDK with ADB and Fastboot on Windows . Open the Android SDK folder on the computer. Hold down the Shift key and right-click where there are no files. Choose to open a new command window here from the menu. Type the command: ‘Factory Data Reset option’ and press the Enter key on the keyboard. 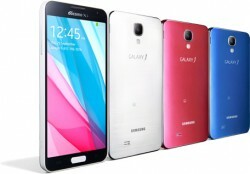 Now your Samsung Galaxy J will boot into recovery mode. Those of you who have root access on the Samsung Galaxy J can download and install the Quick Boot app from the Google Play Store. The Quick Boot app is a favorable option if you do have root access considering it’s so easy to use.